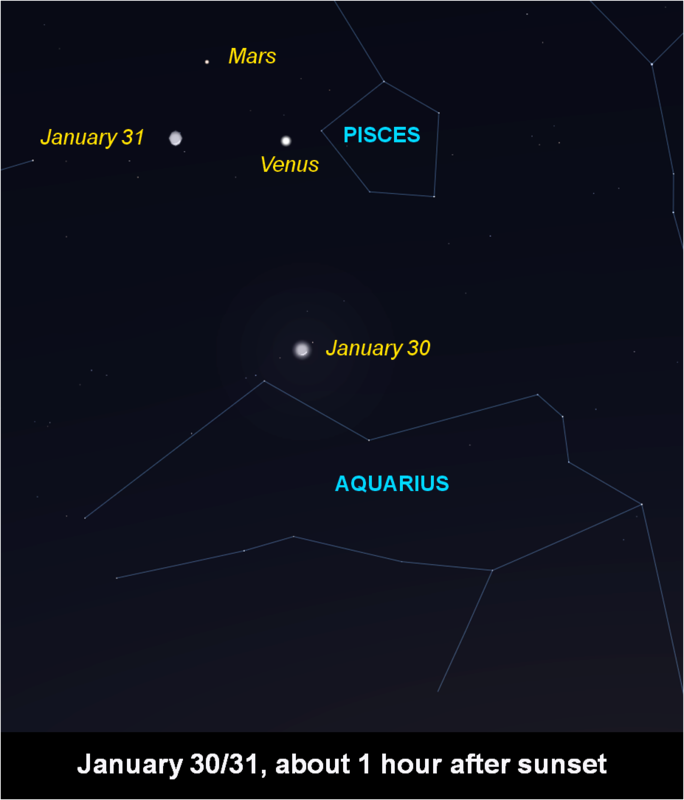 The Moon scoots past Venus and Mars in the early evening sky on January 30 and 31. Venus is the brilliant "evening star," so it is quite easy to see. Mars is much fainter, but its proximity to Venus helps it stand out.